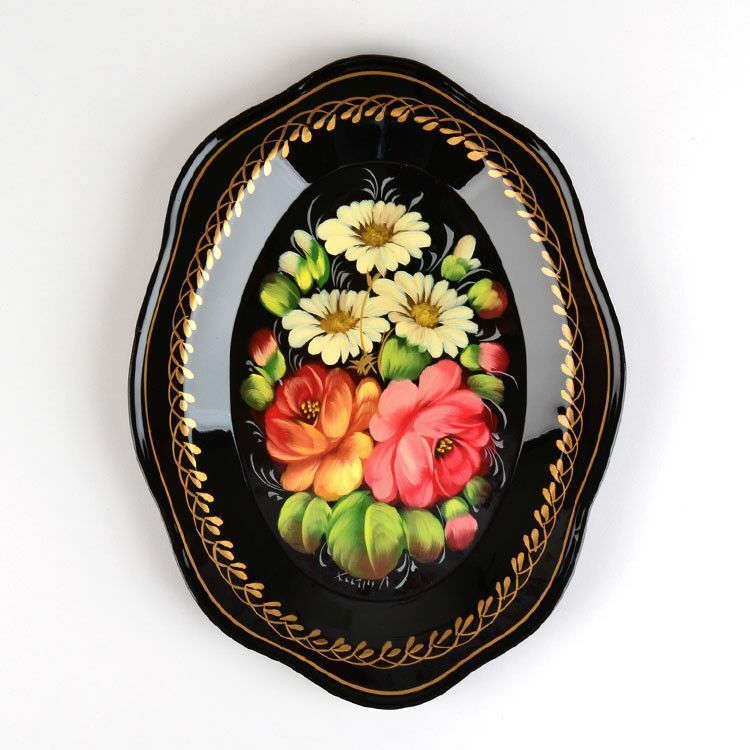 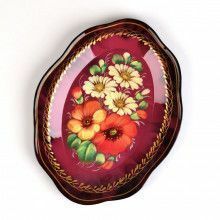 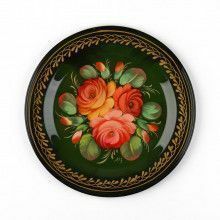 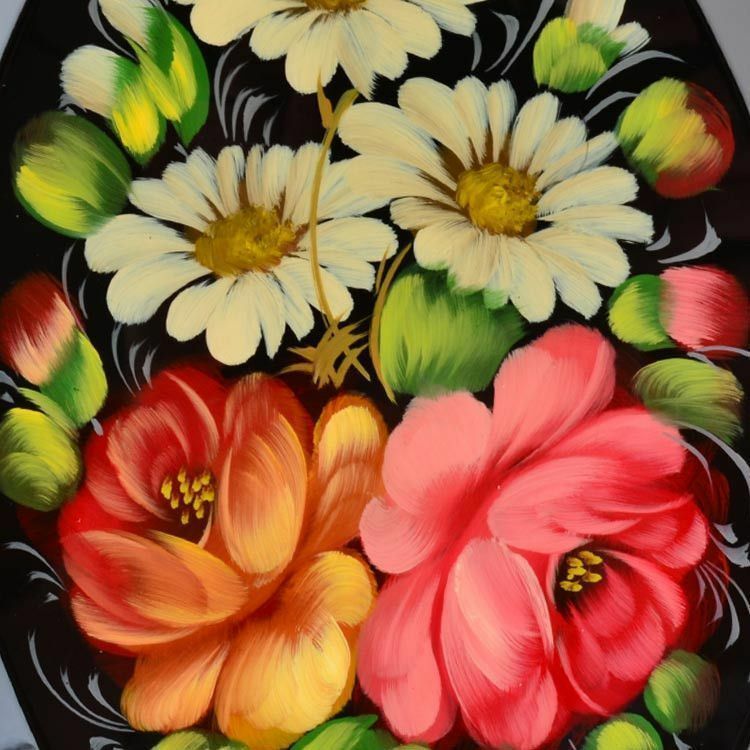 This 9" x 6 3/4" metal Zhostovo platter came straight from Russia, in the town where Zhostovo has been expertly painted since over 200 years ago. 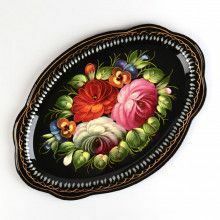 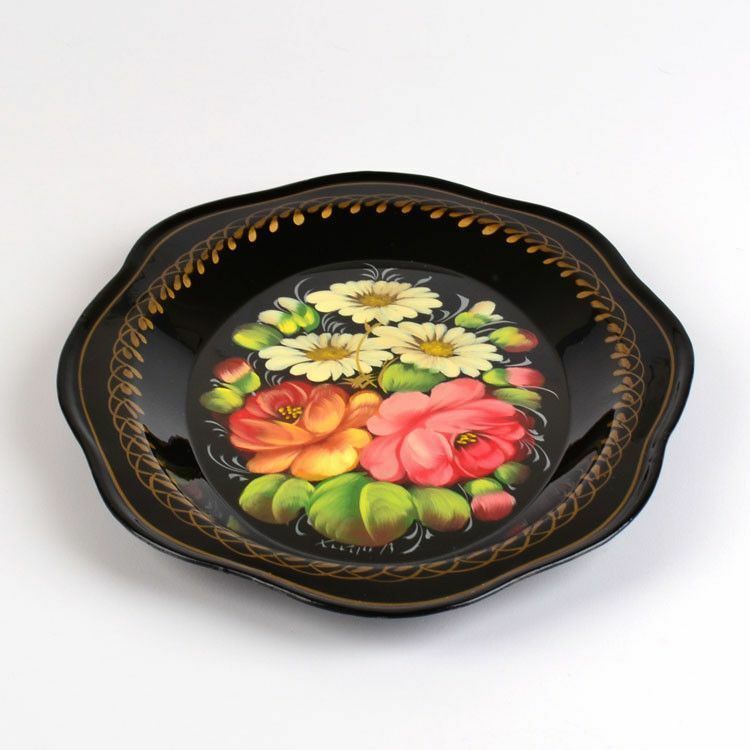 Vivid flowers with green leaves decorate the shiny black background, as well as a gold border design on a scalloped edge. 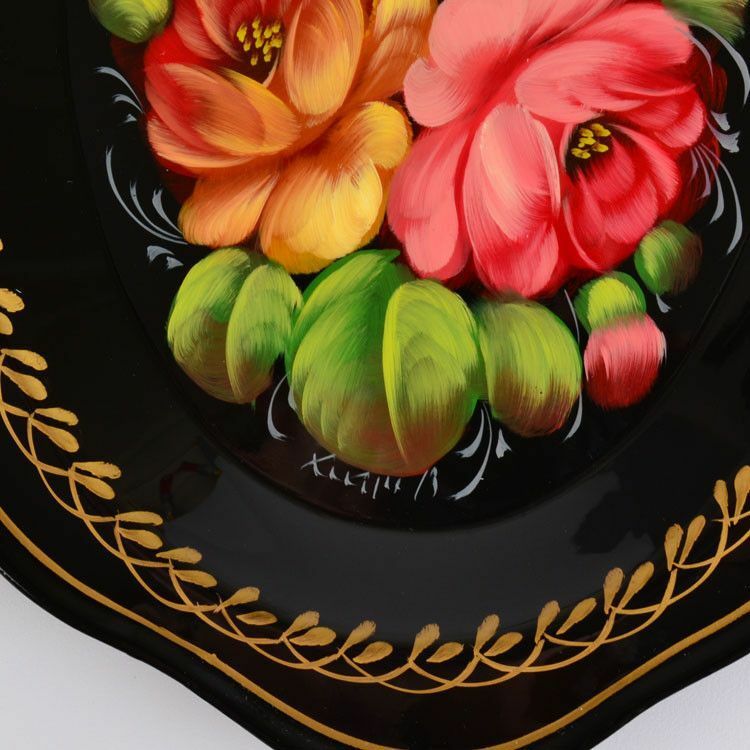 A signature by the artist on the front and a lacquer finish completes this functional folk art piece that anyone would love to own.